I left Tech with a master's in aerospace engineering in 1965. I went directly into the Army Signal Corps where I spent 28 years flying choppers and Bird Dogs. I had a couple of tours in Vietnam working as a Signal communications commander, later flying Bird Dogs trying to protect our infantry on the ground and scouting out North Vietnamese locations in South Vietnam for artillery and U.S. aircraft to destroy. I had a nice tour at Wheeler Air Force Base in Hawaii, working as a program manager with Hawaii Telephone personnel to install the entire newly designed Oahu telephone system. Finally, I landed at MacDill AFB in Tampa, Fla., and was the simulations and gaming director for United States Special Operations Command (USSOCOM). I retired from the Army in 1991 and took a job working for the Department of Energy as a systems engineer in support of USSOCOM for another 10 years. And then in 2002, I retired in Tampa as a golf enthusiast. I am married to the wonderful Mary Jo Alford-Roberson, and all of our kids are on their own. I am proud to be a Sigma Nu and try to keep up to date when I see a couple of brothers at our high school reunions. 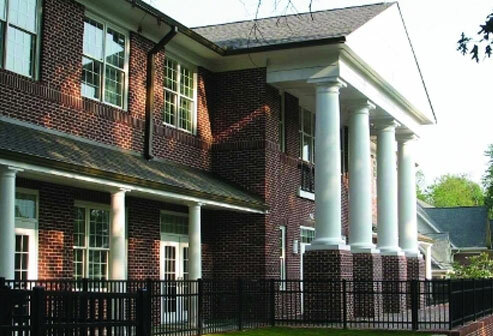 I love the new fraternity house, which is all-together-fitting for our outstanding chapter of Sigma Nu.